Athletes, families and individuals participating in the Great GO! 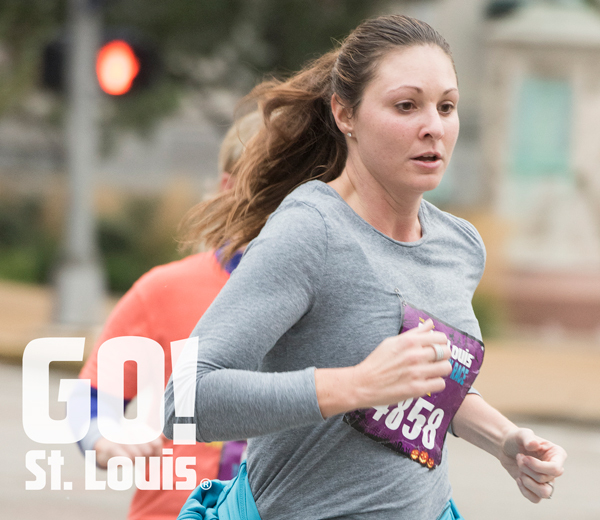 St. Louis Halloween Race on Sunday, October 11, can enjoy a convenient and stress-free ride on Metro to the festivities without worrying about parking, closed streets and traffic. More than 5,000 runners and walkers of all ages, many in costume, are expected in downtown St. Louis for the event, which is scheduled to begin at 7 a.m. this Sunday. Participants can park at any one of 21 free Metro Park-Ride lots in Missouri or Illinois and take MetroLink to the Union Station or Civic Center MetroLink Stations, which are both within a few blocks of the race starting line at Soldier’s Memorial, located at 1315 Chestnut Street. MetroBus is another great option for getting downtown on Sunday as 13 MetroBus routes serve the Civic Center Transit Center, located at the corner of 14th and Spruce Streets just a few blocks south of Soldier’s Memorial. Plan your trip on Metro or visit the Rider Alert section for specific details on each MetroBus reroute.